I look forward to writing this post each year, but I have to admit some of the data results cannot be expressed properly on this blog. On one hand I want to applaud podcast host that get it, but for a great many others I wish I could simply scream and shake them by the shoulders and say wake the hell up. The results make it apparent that the reason many of your shows are not growing, is because a percentage of have set yourselves up for failure. Many have failed to do the basics on their websites to make it easy for listeners to consume the content. We examined Podcasters sites that received more than 10 nominations during the 2009 Podcast Awards Nomination Period. A total of 2381 sites were reviewed. NOTE: The below information has nothing to do with how the podcast awards voting slate is derived. This is a seperate effort I undertake each year to get a sampling of what is happening in the podcasting space and on podcasters sites. If you quote these numbers in your own blog post please provide a link back to the source data as I have went to considerable expense to provide these numbers free to the podcasting community. My personal company Podcast Connect paid for this. 21% Had Invalid Podcast RSS Feeds. 59% Had Feeds with Errors but where Valid. 51% Had an RSS Icon on their default landing page that was a Blog Feed only. 21% Had an RSS Icon on their default landing page that was Podcast Ready. 44% Of Sites had a Podcast RSS feed we could subscribe to! 81% Had a Visible iTunes Subscription Icon on their default landing Page. 93% Had a Visible iTunes Subscription Icon someplace in their website. 43% Had a Visible e-mail contact address on their website. 14% Had a Newsletter sign-up page. 11% Had a call in number for listeners to comment on their shows. 88% of the sites had good unique website branding. 59% Had less than one paragraph of show notes for their past 5 podcast. 51% Had a physical download Link on their websites. 71% Were Creating Audio Only. 9% Were Creating Video Only. 20% Were Creating Audio and Video. 23% Number of Podcasters Blogging as well as Podcast content. While I think the data points paint an obvious picture let me lay out a few of the obvious points. Source RawVoice: Do podcasters realize the Zune has been responsible for 17% overall increase in unique podcast listeners over the past two years? I question why podcasters would ignore a huge segment of potential listeners by not carrying a Zune subscribe icon on their website. There are 100’s of devices that cannot sync to iTunes, and by not having a Podcast RSS feed visible on the main page of their websites, that they are simply not reaching those listeners. This includes the millions of people who have smart phones. Why do we continue to see such jacked up RSS feeds? Five years into podcasting and podcasters still do not understand that RSS is the lifeblood of their podcasts. It blows me away that it is impossible to find Podcast RSS feeds on popular podcasters sites. I find it striking that I can find links to people’s Facebook pages, but have a hard time finding a link to subscribe to their shows. Show Notes: Some Podcasters are finally waking up and finding out that Google can be their friend and that by writing comprehensive show notes results in more traffic to their websites. I will let you do your own interpretation of Part 1 of my report, but I am convinced the success of my personal show is largely to do with content creators not doing the basics to be found, seen, heard and subscribed to. Part 2 will be a comprehensive look at how podcast networks are playing a key role for podcasters. I do want to extend a big thank you to the team in the Philippines that did this work. 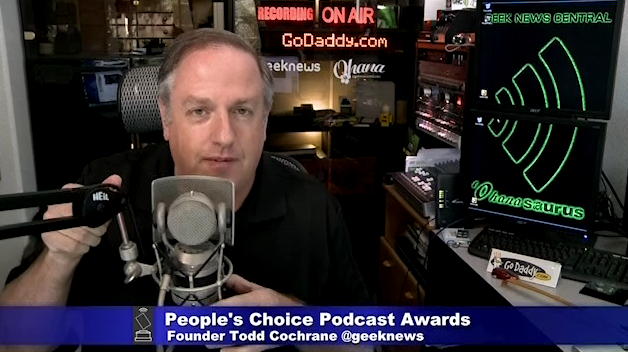 Nominations are now open for the 2009 People’s Choice Podcast Awards! You only get to nominate your favorite shows a single time so take your time in filling out the form. As expected site traffic started to climb as soon as we cut the site loose. A big thanks to all of the current sponsors. 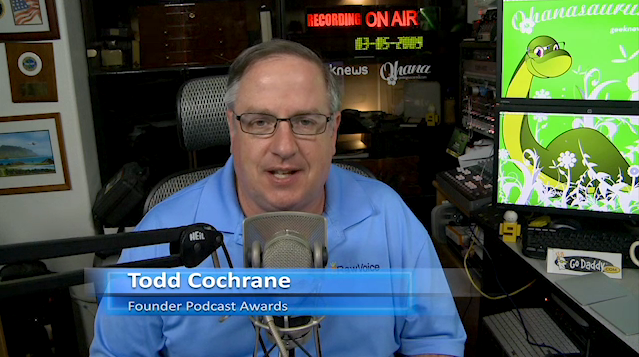 The 2009 Podcast Award Banners are up on the website, as you know nominations open in a few short days. We hope that you have your audiences prepared to nominate your show. We are still seeking some sponsors, I hope you will consider being one of our 2009 Podcast Ambassadors by purchasing a sponsorship! 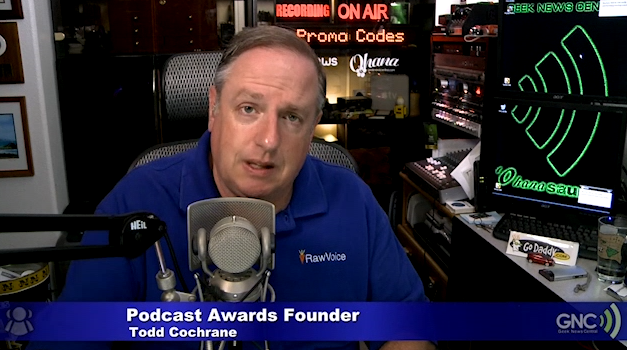 Last year we introduced Podcast Sponsorships on the Podcast Awards sites largely because the big Podcast companies would not step up to the Table with their wallets. As we head into the 5th year we are seeing a significant number of podcast that sponsored the event last year step up to sponsors again largely due to the great ROI they received on their sponsorships last year. In 2008 we saw the Podcast Awards website receive over 14 million hits leading up to and through the awards ceremony. I am already starting to see the traffic increase and it will continue to climb as it always does until the day the Podcast Award Nominations start and then the server will have to have dry ice thrown on top of it to keep it from melting down. Our goal in 2009 is to raise between $5000.00 to $6000.00 the trophies last year where a little over $3500.00 every dime we raise minus the server and auditing firms expenses are turned back into prizes for the winners. This is a not for profit event for Podcast Connect as it has been in years past!